This resource provides VET providers with some considerations that may facilitate meaningful engagement and help with building constructive relationships between providers and employers. 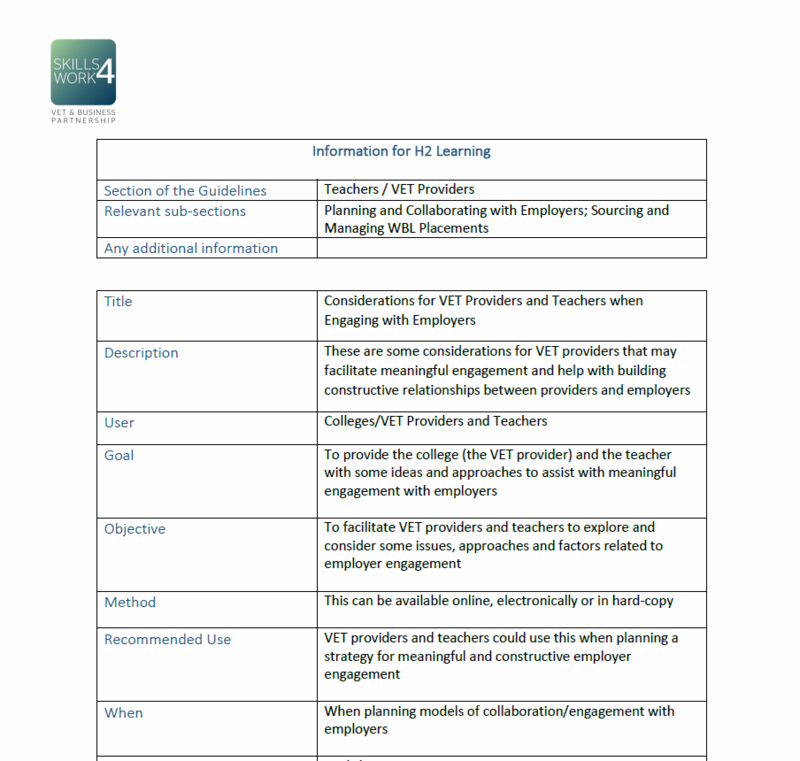 The resource aims to provide the college (the VET provider) and the teacher with some ideas and approaches to assist with meaningful engagement with employers. 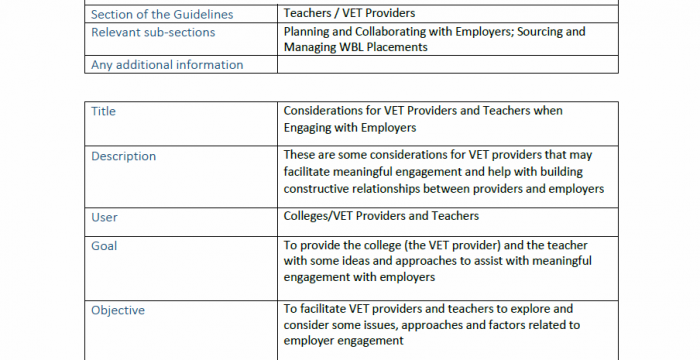 Considerations for VET Providers and Teachers when Engaging with Employers resource was contributed by CDETB, Ireland.